I was brought up to be a polite person in what must be one of the most polite societies in earth. Growing up, when someone was rude to me, my instinct was to apologize before even taking the time to consider if, in fact, I had actually done anything worth apologizing for in the first place. Like many of my fellow Canucks, saying “I’m sorry” was a matter of form rather than content. My five years in France forced me to reevaluate the virtues of what I now term “reflexive apologizing”. Most of this reevaluating took place in the parking lot of my girls’ school in Beaune. Although known as “Saint Coeur” there was nothing Christian-spirited about the goings on in that parking lot. Fender benders were routine, fists were shaken, heated words were exchanged, and on one occasion, I witnessed a tire iron being menacingly removed from a trunk (and not to change a tire, needless to say). I quickly discovered that if I got in an altercation – which happened pretty much every day – and actually APOLOGIZED I was would not find an easy way out of the conflict. Rather, I was instantly viewed as an injured prey and castigated with twice the vitriol. So over that first year in Beaune I did what us humans are programmed to do; I adapted. I observed in the Saint Coeur parking lot that the French would hurl accusations at each other until they realized that they had met their match. Then they would get bored and get back in their car and drive away. As Franck always says, “In France, the best defense is offense.” Never apologize, because that means you are fair game. Back here in Canada I took Camille to her first concert on Monday night. It was ABBAMANIA, an ABBA cover band who was playing at Victoria’s MacPherson Theatre. Camille and I got all decked up in ABBA costumes and, along with Camille’s friend Caitlin and her mom Nora, set out ready to sing and dance and have an ABBAlicious good time. I had forgotten, however, that this was Victoria. Nora and I almost keeled over when we arrived at the theatre and saw that; a) we were the only ones dressed up in THE ENTIRE AUDIENCE and b) the average age of the audience was about 90. But as I said to Nora, the four of us would just have to be our own party. So at the end of the first set when the performers urged the (stodgy) audience to stand up and dance, hell, WE STOOD UP AND DANCED. When we came back into the theatre after the intermission a constipated elderly man beckoned us over to complain that he couldn’t see when we had stood up and danced, so could we please stay seated for the rest of the concert? My first (Canadian) reflex would have been to apologize and to do the polite thing, albeit resentfully, and to stay seated. My Frenchitude, however, kicked in and I went back over and said to him, “I paid for a ticket too, and when the performers ask the audience to get up and dance, we will be getting up and dancing.” No apologies. “But we can’t see over you!” he whinged. And I felt 100% better than if I had reflexively apologized for something I wasn’t, in fact, sorry for at all. And the four of us were indeed Dancing Queens. This entry was posted in Frenchitude Fridays on March 25, 2010 by admin. Remember how I was going to make a great Buche de Noel for Christmas dinner this year? After all, I am the girl who regularly doles out Frenchitude lessons, so I had to inject our Canadian Christmas dinner with a bit of Frenchitude, n’est-ce pas? Note my last ditch attempt to add bark-like texture and a “knot” with a fork. Yes, you can laugh now. I swear to God I followed the instructions. I was even listening to Boney M’s “Petit Papa Noel” when I was trying to roll the putain de truc as it disintegrated in my hands. Never one to throw away perfectly good chocolate, butter, sugar, or eggs, I decided that the only solution was to ice the mess within an inch of its life and brazen out the inevitable outcry. “Je m’en caliss,” I muttered to myself. This is my new favorite expression by the way, now that my Quebecois brother-in-law has taught me to say it with just the right Quebecois inflection. I couldn’t quite decide if Meme Germaine, la reine des buches, was laughing her head off up in heaven, or sobbing that her precious grandson had married a woman incapable of providing a decent Christmas Buche. Franck very helpfully (please insert requisite sarcasm here) decided that this historic culinary moment had to be preserved in a series of lovingly staged portraits. The side view is even more fetching than the top view, non? Needless to say, I had run out of icing. Here is my sweet Brother-in-law Mark trying to comfort me (even though his Grandmother Beaudry was known for making a stellar buche in her day). What on earth am I doing writing posts about Frenchitude? My buche should force me to ponder this question. Problem is we are all still laughing too hard about my buche and coming up with alternative names (i.e. Christmas Merde On A Plate) for me to really stop and consider the matter in any depth. This entry was posted in Frenchitude Fridays on December 29, 2009 by admin. A few nights ago the girls’ wonderful new school held the Nine Lesson & Carol Service at Victoria’s cathedral. It was absolutely exquisite, and Charlotte and Camille were beyond thrilled to take part in it. I was very excited about going too – I love such Christmassy events. We would go en famille, of course. I guess I have gotten used to French churches, where there are usually mobs of children. French Catholics are a very prolific group of people and it is not uncommon in Beaune for the Catholic families I know to count between four and ten children. The upshot of this of course is that you can pretty much be assured of children lolling around all over the church during the service – trying to scale the alter, pulling at the choir members’ robes, pushing that little foot bench up and down and up and down and then up again…it’s chaotic, of course, but it also means that your own child’s noise and movement doesn’t even register. So I blithely dressed up Clem in her nicest red Christmas dress and her shiny black patten shoes and took her along with us. Clem is 23 months a the moment. In other words, going anywhere with her is like packing along a renegade missile. I now know – she is my third child after all, and thank heavens I’ve picked up one or two pieces of knowledge along the way – that this is not Clem’s fault. This is simply what 23 month old children are; as a parent one must merely strive to survive this period. True to her age group Clem quickly disproved the saying ‘pretty is as pretty does’. She looked adorable, but all she wanted to do was to catapult herself over the pews and race back and forth across the shiny floor of the cathedral. In France she would have been only one of many children doing the same thing, but here Franck and I quickly realized that nobody else seemed to have brought their toddlers. Or, if they had, they had found a much better place to hide them. Only five minutes into the service Franck took Clem under his arm like sack of potatoes and took her to the very back of the church, where her singing and shrieks resonated in the respectful silence. I snuck to the back to see if I could relieve Franck during one of the first carols. “What were we thinking?” I asked him. The school truly encouraged entire families to come to the service, but I now remember that it is a societal thing here in North America to keep one’s renegade missiles safely at home instead of exposing them to church services and other such events. I beg you, bring them out with you! The more the noisier, to be sure, but there is safety – not to mention comfort – in numbers. This entry was posted in Frenchitude Fridays, Parenting the French Way on December 11, 2009 by admin. The Bistro Bourgignon in Beaune always has comfy outdoor couches ready for prospective winetasters. Similar to the time when a woman in Victoria castigated Franck for opening a door for her, Franck cannot help but trot out again and again another particular bit of effrontery that he experienced in his adopted country. It happened during his very first summer in Canada. We had been living together in Montreal where I was a student at McGill. Summertime rolled around, and Franck got himself one of those typically Canadian rite of passage jobs – a tree planter in Northern BC – while I was busy in Victoria protecting Canada’s borders as a Custom’s Officer (I can still remember how to read someone their rights – handy skill for a parent). After six weeks living in the bush amongst the black flies and black bears, Franck and his crew were let loose back into civilization – Prince George, BC – for three days and two nights to shower, drink beer, and PAR-TAY between contracts. The second night they were all out in the streets of Prince George watching a fireworks extravaganza (Canada Day, if memory serves correct). They were all, of course, drinking beer. Here comes the effrontery part: within a matter of minutes an RCMP officer came by, took their beer, and emptied it down the gutter in front of them. This is unfathomable to a French person because: a) the French law enforcement officers are the last people to waste perfectly good alcoholic beverages, and b) because drinking in the street is not only a way of life in France, but held up as the mark of a civilized, cultured society. Just have a look at the photos Franck took from the Beaune wine auction and party last weekend. It was warm, the streets were full of revellers, and you would have looked mighty strange if you were over 16 and weren’t wandering around with a tasting glass in your hand. Or a glass of mulled wine, which this fellow is serving up. I love a lovely glass of mulled wine to warm up my hands. Wine is everything in Beaune, especially on this particular weekend. It is debated, tasted, and worshipped openly. People take time to sit down at a bistro table and enjoy a glass of wine and the twinkling Christmas lights. And there are no gendarmes throwing wine down the gutters at all. However, you might just find one tasting alongside you. This entry was posted in Frenchitude Fridays on November 19, 2009 by admin. In the name of all things Halloweenish and spooky (but let me just say, not as spooky as the H1N1 flu that has made itself at home chez Germain this week ) today’s Frenchitude will be about visiting graves. All of our friends and family in France are currently off for the annual “Toussaint” (All Saint’s) vacation. Incorporated into this vacation is All Soul’s Day on November 1st, when it is traditional to go to the graveyard and leave flowers on the graves of your departed family members. I have been reminded since returning to Canada that death and mortality are not exactly favorite topics here in the land of the fit and health conscious, and even in France I have observed over the past few years that the All Soul’s tradition has a serious demographic problem. The visitors to the graveyards tend to be from the older generations, and younger French people don’t seem to feel the need to leave flowers at the graves of their dearly departed. I, however, am a fan for bringing back the All Soul’s tradition. First of all, I firmly believe that things like death become scarier when they are avoided and not talked about. The whole visiting of the graves thing helps with this. One of my girls’ favorite places in Villers-la-Faye was the village graveyard, where they would leap and run about, tracing back their ancestors to their great-great-great grandparents. Graveyards can teach us a lot about ourselves and where we come from. My girls have been brought up with stories of their Pépé Georges (Franck’s maternal grandfather) who died when Franck was ten. They knew he loved nature, so on the way up to the cemetery they would always find a special twig or pine cone and leave it on his grave. Visiting Pépé Georges in this way made the girls feel like they really knew him. But even if they don’t contain any of your ancestors, graveyards are fascinating places. 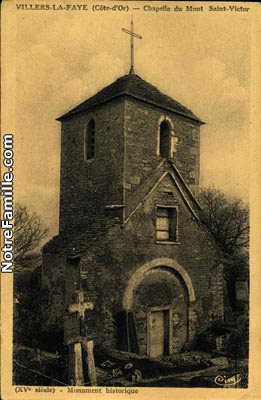 In Villers-la-Faye, for example, the cemetery boasts a few stone coffins dating back to druid times, scattered around the 11th Century Roman built chapel on top of the Mont-Saint-Victor. It’s like an outdoor museum. When in Italy we visited a lot of cemeteries. Italians have the whole thing figured out. Not only do the huge majority of Italian graves bear a photo of the deceased plus a little (or not so little) synopsis of their lives, but they also have little lights that light up at night making the graveyard a lively, living, social place. Even if no-one there is related to you, it is still fascinating to read how people lived, and how they died. I dare hope that our time spent in European graveyards over the past five years has lessened my girls’ fear of death a little bit. They also took part in the three graveside services for their three French great-grandparents who passed away during the past five years. The most memorable burial as far as my girls are concerned was the last one – the one for their beloved Mémé Germaine who died only five days before Clémentine was born. Franck and the girls had bought white roses to put on Mémé’s coffin, because Mémé had always loved the tear-jerker of a song “Les Roses Blanches” by Berthe Sylva . Struck by graveside inspiration, Franck and the girls decided as Meme’s coffin was being lowered into the vault that each person present should take one of the white roses and throw it into her grave. The girls still talk about the white roses that are now sealed for eternity with Mémé and they feel that she would have really liked that elegant and personal touch. And I know already that Mémé’s grave will be one of the first spots they will want to visit when we return to Villers-la-Faye next summer. This entry was posted in Frenchitude Fridays on October 29, 2009 by admin. Anyone who has ever read this blog will surely know about my most sacred daily after lunch ritual of a good cup of coffee and some truly delicious chocolate. If I have to miss this ritual I go around for the rest of the day feeling disgruntled and unsatisfied. Pas très jolie, let me tell you. Go into any supermarket in France and you will see that during the past 5 years I was spoiled for choice as far as good chocolate was concerned. This was fortunate, as at least 25% of the conversations between my friend Charlotte and I consisted of comparing, debating the merits of, and recommending new chocolate finds. I felt not one iota of guilt about such a hedonistic pursuit of pleasure, because as any French person will tell you PLEASURE IS SERIOUS BUSINESS AND DON’T YOU FORGET IT. Happily, I have found my chocolate quest is equally as satisfying here in Canada. I have discovered the Lindt “Equador” and “Peru” chocolate bars, which are the perfect partner to coffee with their bitter, spicy chocolatude. My little sister also introduced me to (cue angels singing) Vancouver’s chocolate maker Thomas Haas, who has created such divine things as ginger chocolates and (be still my beating heart) sea salt caramel chocolate balls. I dream about these, and am planning my next trip to Vancouver around buying some. So be French (or Canadian) about your chocolate – accept only the best. This entry was posted in Frenchitude Fridays on October 16, 2009 by admin. A few posts ago I mentioned my homemade recipe for Crème Fraiche which mentioned Lemon Tarts, and I promised to post the recipe for my fabulous French Lemon tarte. This is one of those stalwart, life-saving recipes. It really isn’t that difficult, but gets absolutely rave reviews every time. The first time I tried it it was at my friend Charlotte’s house. She had made it for dessert one day when just her, Franck, and I were having lunch together. Between the three of us we ate almost the ENTIRE tarte. Now, perhaps such gorging isn‘t a very Frenchitude thing to do, but this tarte is so much the quintessence of Frenchitudeness in its beautiful lemony simplicity, that you simply have to surrender to the pleasure of eating it. Make it, and you too will understand the paradox. -Mix all the ingredients up with “S” blade in food processor until it becomes a ball. Just for the record I am a HUGE fan of food-processor homemade pastry. – Wrap it in Saran Wrap and flatten into disc shape. Let sit in fridge for an hour or more. – When you are ready to make the tarte, roll out the pastry and then press in into a buttered and floured quiche pan. It is normal that the pastry is a bit crumbly and you have to sort of press it together like pieces of a puzzle. Poke it all over with fork after you have assembled it in the pan. – Slide the pastry in the quiche pan into a 180 Celsius (360 Fahrenheit) degree oven for 10 minutes. You can use those bean thingies to keep your pastry from puffing up, but I never have them at hand and it turns out fine. – In a saucepan boil the cream. Let it cool. – Zest and juice the 2 lemons. – In a bowl, mix together eggs, sugar, cooled cream, lemon zest, and 50 ml of the lemon juice. – Pour this mixture on to your pastry (it’s normal that the mixture just barely covers the pastry), and leaving oven at the same temperature cook for an additional 15 minutes or until it doesn’t jiggle in the middle anymore. – Put in fridge to cool. 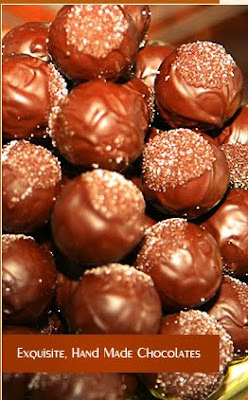 This entry was posted in Favorite Recipes, Frenchitude Fridays on October 1, 2009 by admin.